Honeygrow's Vegan AF winter seasonal stir-fry. Photo courtesy of Honeygrow. We get it. You try to eat healthy. But when you’re out and you’re hungry, and in a hurry, what do you do? So many of the chain restaurants you drive past offer food that don’t exactly support your New Year’s health resolutions. The good news is this: Pittsburgh’s booming restaurant scene now offers a crop of national, nutrition-conscious eateries that serve fast, but without the guilt. First Watch in McCandless. Photo by TH Carlisle. 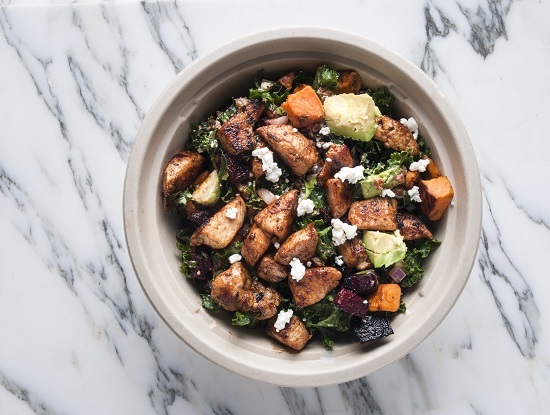 Founded in Philly in 2012, Honeygrow now boasts nearly 30 locations throughout the U.S., including a storefront in East Liberty’s The Penn at Walnut on Highland development. You won’t find freezers at this place, just housemade sauces and dressings along with fresh produce that’s sourced locally when possible. The kiosk ordering system makes it easy to choose-your-own-food adventure (and remembers what you ordered before). Going bold in your meal choices in 2019? Try the Vegan AF winter seasonal stir-fry, which is spiralized sweet potato and zucchini “noodles,” vegan “chorizo,” roasted spicy tofu, mushrooms, local kale, red onions, bell peppers, cilantro, and spiced agave cashews in a smoked paprika tomato sauce. CoreLife Eatery recently opened near The Block Northway, giving shoppers a healthy boost before they hit the sale racks. The 10-year-old company, which has locations from New York to Utah, specializes in food that’s free of GMOs, trans fats and artificial additives. But that doesn’t mean it’s just a bunch of lettuce. There’s a range of protein-filled options, including Grab a Power Plate, your choice of a grilled protein paired with a filling side dish and a roasted vegetable medley topped with a scratch-made sauce. They’ve also got broth bowls, grain bowls and more. Bonus: You can order online or through a mobile app while you bargain hunt. This Pittsburgh-based, fast-casual Indian barbecue joint opened a year ago and dishes out joy along with each meal. Huge, clay, gas-fired ovens, called tandoors, perfectly char meats to lock in flavors and juices. For centuries in India, friends have gathered around these cylindrical slow cookers to break bread, share blessings and carry on good conversations. The company prides itself on serving the finest humanely raised, antibiotic-free chicken, lamb and salmon and there are vegetarian and vegan offerings as well. Don’t forget the side of naan which alone is worth the trip. Also, it’s BYOB (we had to ask) and the sauces are amazing, so don’t skimp. Roots Natural Kitchen’s Mayweather bowl. Photo courtesy of Roots Natural Kitchen. 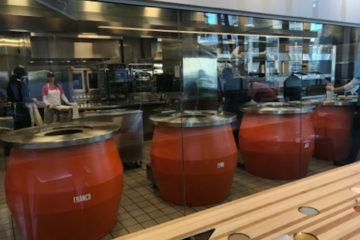 East Coast-based Roots Natural Kitchen opened its fourth U.S. location, and their first in Pittsburgh, on January 7, giving health-conscious foodies control over their destiny. Diners can customize their meals, selecting a base (bulgur, rice, various leafy greens), add-in ingredients (beans, veggies, cheese) and a protein (mushrooms, chicken, tofu). Or select a signature salad or grain bowl. The Mayweather features kale, bulgur, roasted sweet potatoes and beets, red onions, goat cheese, avocado with grilled chicken drizzled with lemon tahini and pesto vinaigrette. Photo courtesy of Mitchell Straub Photography. Lettuce take a moment to recognize Earth Inspired Salads for bringing healthy, but tasty, grab-and-go options to time-pressed Downtown workers. The Thai One On Salad is a Mesclun mix with “earth-herb” roasted shrimp, carrots, spicy sesame broccoli, sliced almonds and miso soy ginger vinaigrette, clocking in under 420 calories. Breakfast, including wraps and bowls, is available from 7 to 10:30 a.m. A loyalty program gives diners cash back on purchases along with bonus coupons, which just might be the encouragement they need to continue eating wisely long after New Year’s resolution season. Snagging a table at this busy breakfast and lunch joint might be tough, but it’s worth the wait. 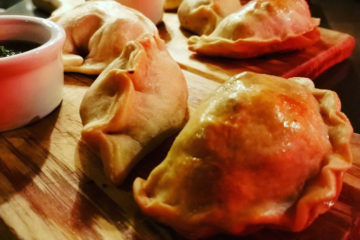 Your patience will be rewarded with yummy fare and an entire pot of coffee made with beans grown by an indie group of female farmers in Huila, Colombia. Energize your day with an A.M. Super Foods Bowl. It’s coconut milk chia seed pudding with fresh bananas, berries, blackberry preserves and housemade granola served with whole grain artisan toast topped with almond butter and Maldon sea salt. Have we mentioned your favorite healthy chain restaurant in Pittsburgh? We’d love to hear from you. Post in the comments below, let us know on Facebook or e-mail us. And look for our story on local fast, healthy places soon.